In a world where one’s color determines one’s status, Darrow was born the lowest, a Red. The Reds were lied to, told they were living a horrible life for the betterment of mankind, working to terraform Mars for their descendants, but really Mars has been colonized for years. Darrow was approached by the Sons of Ares, a group of Reds who want to change the system. They changed Darrow from a Red into a Gold, the highest ruling class, and snuck him into their elite institute. Darrow’s been out of the Institute for two years now. A year ago he joined the academy where they train for the military. The book opens on his final exam for the academy. He’s playing a similar game as before, only this time with warships in space. With such a large cast it’s hard to remember them all, but the author did a good job of reminding me. And Darrow is still holding things back. We’re in his head, but we never know all he does. I suppose that’s one way to write an intelligent character, but it’s so annoying. More excellent world building! I liked the techy Blues and the way they communicate with the ship and each other. As well as the culture and history of the huge obsidian warriors. I enjoyed the new characters as well as the old. It’s so hard not to have favorites and this is the kind of book I hate to get attached to anyone, but I can’t help it! And like the first book absolutely nothing is predictable. Unlike Game of Thrones good thing do happen, but there is no knowing when. I had a book hangover for a week when I finished! Just wow. I need more!! I almost wish I’d waited to read the last two together or stopped before the cliffhanger ending. Talk about to be continued! Why does he do this to us?! This is at times a dark an emotional book, which isn’t usually my cup of tea. Darrow is more mature in the sequel, but he’s still the same guy. (Moody and way too moral for what he’s trying to do) But the plot and story telling is so strong that it doesn’t matter that I don’t really care for the main character! I highly recommend this series! Even though I realize it isn’t for everyone. Who dies in Golden Son? Click here. Obviously SPOILERS! I so wish I knew this ahead of time so I wouldn’t have been so tense while reading. Can top notch world building and plot make up for a lackluster or unlikable main character? Usually my enjoyment of a book rests largely on the protagonist, but if the world and plot totally rock I can still love the book. If I don’t like the main there does need to be some good minor characters though. I really loved it too! I did like the unpredictability of the story, and not being able to guess who’s going to die or what’s happening next. Great series! I’m glad you enjoyed it. I think this is the most unpredictable book I’ve ever read, because where game of thrones if they make any sort of plan I know it isn’t going to go as they think, in Red Rising half of the time it does work out! I NEED the next book already! I couldn’t believe that ending! I tried book 1 when it came out and just couldn’t get into it. I will definitely retry to read it because I did think it was OK, I just wasn’t in the mood for it at the time. So glad you liked this!!! Yeah, these books are such intense reads that you definitely have to be in the right mood. I like the sequel better than the first and that’s always a pleasant surprise. Thanks! I hope that you enjoy it too! This really was an intense read wasn’t it? I remember being on edge the whole time and needing numerous breaks throughout. This was such an intense read! I was tense throughout the whole thing! I read it on the plane, which wasn’t the best idea since I couldn’t have a brain break. I like Darrow alright, he’s definitely growing on me, even if he is still annoying at times. Thanks! I’m glad you liked this book too! I’m glad to hear good things do happen:) I picked up Red Rising. I’ve overcommited to reading books again but I will get to this one sooner rather than later. Too many people like you, people I respect, say such good things about the series. Thank you! 🙂 Red Rising is good, but Golden Son is great! I hope you like it, but it’s a very intense read. Good luck catching up on your reading! This sounds like an interesting series. I’ll have to see if I can hunt out a copy of Red Rising and give it a go. I think good worldbuilding can go quite a way to making up for lacklustre characters. If a world draws you in, you can almost forget about the rest. But sometimes nothing can make up for truly irritating characters, or a serious lack of plot. It’s not that the characters are lackluster, I just was annoyed by the main character. He’s much better in Golden Son though. Both the world building and plot are excellent and there are some great side characters. I hope you enjoy it! The second book is better than the first so I have high hopes for the conclusion. I love when books have great world building (it’s definitely an added bonus if the plot is epic)! Definitely one of my favorite things about books, especially if it’s fantasy! Great review! I agree, world building is so important! I think that’s one of the reasons why I love fantasy and scifi so much. Thanks! 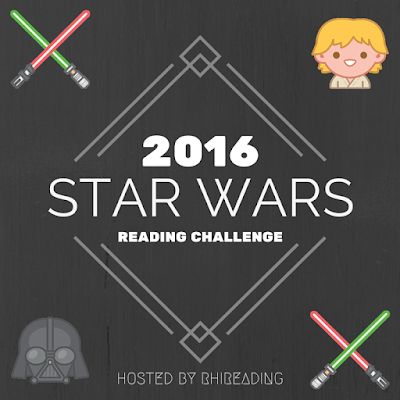 I really want to read Red Rising, and if I enjoy it, I’ll definitely check out Golden Son as well. The world building in this book sounds amazing, and I love when that happens. It’s so difficult to make a science fiction world seem real, but the stories that do get it right are always amazing. It really says something when a book with such fantastical things in it can still come off as realistic. The world building alone is why I wanted to read the sequel. Yes, if you like Red Rising at all read Golden Son, because it’s even better! Yes, yes you do. I’ve read quite a few negative reviews for Red Rising, but I rather liked it. I’m glad I decided to read Golden Son, because it was so much better! I can’t wait for this one. Everyone is loving it so far which is great! Yes, it was great! 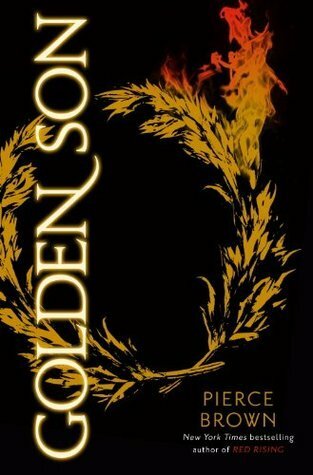 Red Rising was good, but Golden Son is just so much better!! Thanks! I’m always hesitant to request a sequel for review. What if I don’t like the first one? I think you’ll like these though. At least I hope so. I read Red Rising but was an outlier on how good it was (I liked, but kinda only a little). I have Golden Son. I have almost started Golden Son. I can’t convince myself to get started. Yeah that’s how I felt too. I mostly wanted to read Golden Son because of the world building and I had hope based on that beginning. I’m glad I did, because it’s much better than Red Rising! I hope that if you start it you like it as much as I did. This series sound very different from what I normally read- but both books sound good. I like that you were able to adjust to the slang better in this one and that the book has a world that was really well created. Thanks for sharing! I don’t usually read too many dark intense books, but the world and plot was so good that I’m glad I did. It wasn’t that the slang wasn’t understandable, but it was annoying. (In the first one) Thanks! Oh I really really should try this book! I keep hearing amazing things about this one and the first one and I confess that at the end I’m really curious to try it! I’m glad it was good ahain for you. I need to buy book 1! I think Red Rising is still on sale for $1.99 on Kindle. It’s really worth it! I wasn’t blown away by Red Rising, but I was by Golden Son. I hope you enjoy it. I’ve been meaning to pick up this series!! Glad to hear you liked it, and I love unpredictable books! It was so unpredictable! I never knew whether everything was going to go well or horribly badly. I hope that you like it as much as I did! I swear I’m reading the first one asap – especially since everyone keeps raving about both it and this! Yay! I hope you enjoy it. (The second one is much better though) The world building and plot are exceptional. I think Pierce Brown is definitely an author to watch. I NEED to start this series. The best part is, the stuff you didn’t like is stuff I LOVE, so it works on so many levels! Everyone who reads this seems to be stuck with book hangovers, so it MUST be good. Honestly, even though I WANT to read the first two now, I may just wait until the 3rd comes out and binge read, because they sound that good. Also, thank you for not spoiling stuff, you are the best! haha that works out perfectly then! I really do think you’ll like this series. Yes, just yes, the book hangover from Golden Son was terrible! That might be a good idea to wait now and read the whole thing together! I’m so jealous that you won’t have to wait though! Thank you! I hate spoilers unless I go searching for them. I went into these books blind and I think I would’ve liked the first one more knowing what to expect, but the sequel was great not knowing a thing! I think you should jump in then, because the world building really is great and the plot. Darrow grew on me in the sequel and there are plenty of likable minor characters, which is worse because I’m so worried my favorites will die! I hope you like it. Red Rising is still on sale for $1.99 for Kindle. Yeah I was one of this people who aren’t a fan of the series. I suppose I’m a bit of a black sheep, but I just couldn’t finish Red Rising. I’m so glad that this series continues to be fantastic! I can’t not finish a book. I thought Red Rising was good, but not great. Golden Son was so much better! Everything I liked was from the first one came back and most of what I didn’t like was gone. The main thing that really improved was the plot! Also, Darrow wasn’t nearly as annoying. haha. Thanks for the spoiler free review! I haven’t read the first book yet but a lot of people keep recommending it to me-looks like there is something to that 😉 While I do prefer character driven books I like the sound of the world building and everything else in this one. You’re welcome! I hate unintentional spoilers. I thought Red Rising was fairly good, but because the world building was excellent I wanted to read the sequel and I’m so glad I did, it is SO MUCH better! The minor characters are all excellent, Darrow just annoyed me at times. Thanks! I think this is one of the worst book hangovers I’ve ever had! Mine lasted almost a week! It was so smartly written. I need book three NOW! Yayayayya Golden SON! I loved this book hahaha, the ending was CRAZY! But wait, I didn’t think V died? (from the spoiler list). Maybe I just rushed the ending? I really liked it too! That ending! I still can’t get over that ending! Yeah, I’m almost certain that V did die. I really liked that character so I paid close attention to that part. Yeah, I can see that happening since there was so much going on. Wow, just wow.